With Russell Crowe playing Noah, Paul Verhoeven bringing us Jesus and Warner Bros tackling Moses, the movies are well and truly back in the good book. The good book is back in showbiz. Darren Aronofsky has a bearded Russell Crowe for Noah. The documentary Bible Quiz is in post-production. Will Smith’s directorial debut will be Cain and Abel (reportedly with a vampire twist). Paul Verhoeven’s Jesus of Nazareth has its finance in place. Justin Theroux is rewriting Swear to God – a comedy about a hedge-fund manager who has seen the Almighty. Ridley Scott, Warner Bros – with a rumour of Spielberg directing – and the Chernin Entertainment Company all have Moses movies. Mary Mother of Christ, a film about the life of Jesus up to age 12, is currently prepping, as is Langston Hughes’s Black Nativity, with a cast of Samuel L Jackson, Angela Bassett and Jennifer Hudson. And earlier this week, a Pontius Pilate movie was greenlit. Given the preponderance of reboots and remakes, it is no surprise that Hollywood is going back to the greatest story ever told, the source for many of its successes of the 20s and 50s. Adjusted American box-office records show that four of the top 100 most successful films have a biblical theme: The Ten Commandments (1956), Ben-Hur (1959), The Robe (1953) and The Passion of the Christ (2004). 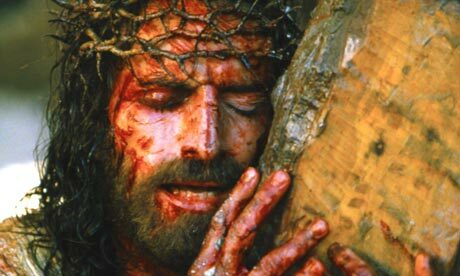 That The Passion of the Christ is the only one in the global top 100 (at 68, with earnings of $611m worldwide) would suggest it is the last gasp of an exhausted genre. The currently in-production Mad Max: Fury Road, along with I Am Legend and Children of Men, can all be said to have religious purpose buried deep at the heart of them. Films often carry “religious” undertones and can be seen as a kind of worship, away from the more traditional religious places. If not, perhaps the real zeitgeist behind Hollywood’s Bible boom is a simple metaphysical message of hope and faith that neither Batman nor Iron Man can match: in these times of economic and environmental uncertainty, it can’t hurt to pray a little in the dark.